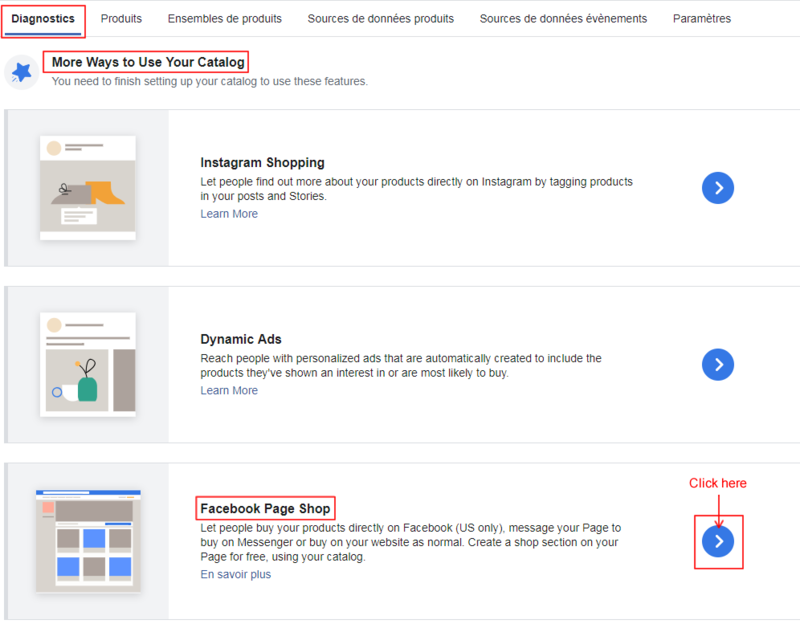 If you already have created a catalog and you already have import products inside, you can connect it to the shop tab of your Facebook page, provided that this one isn't already connected to another product catalog. Before following the procedure below, you must first check that you are admin of the Facebook page and of the catalog you want to connect to this page. 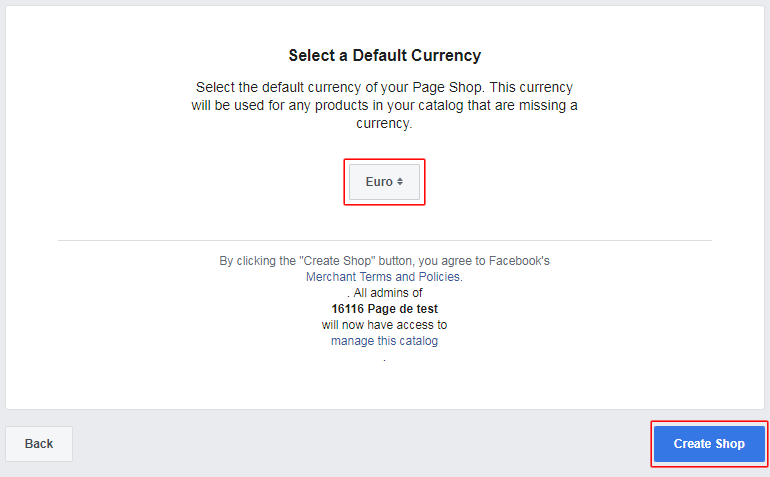 Moreover, please note that only one catalog and then one language and one currency can be associated to the Facebook "Shop" native page tab. It's for now impossible to display the native "Shop" tab in several languages and several currencies. If you want to get a multilingual Facebook shop, the only solution today is to create a custom tab as our "Advanced Shop for Fan Page" module allows you. To know more, click here. So, choose the catalog you want to connect to your Facebook page judiciously. If you want your visitors to be redirected to your website to finalize their order click "on an external website", then click "Next". The "Message my Page on Messenger" does not allow to redirect the visitors to your site, but only to send you a message. Be careful, do not make a mistake here because it will no longer be possible to change the type of the Facebook shop, unless you restart from scratch by deleting your Facebook shop and the link with the product catalog and by recreating them. Then check that the products are displayed in your Facebook page shop tab. Please note that it may take some time before the products appear because, before allowing their display, Facebook checks that the products comply with its commercial rules. If after one day the products are not displayed yet, go to the "publication tools" of your page and click the "Products" tab of the "Shop" section. Your products should be listed. Click a product and close the pop-up, this shoulf trigger the verification of your products by Facebook and your products should be displayed in few minutes in the shop.